Am currently having a conversation regarding the positions of our political candidates hold. For example, Ben Carson questions evolution – a nuanced debate not meant for this post – and I countered that there are real live breathing human beings that believe tropical storms are increasing both in number and in strength. The constraints of social media being what they are I am going to make my case here and then post there. 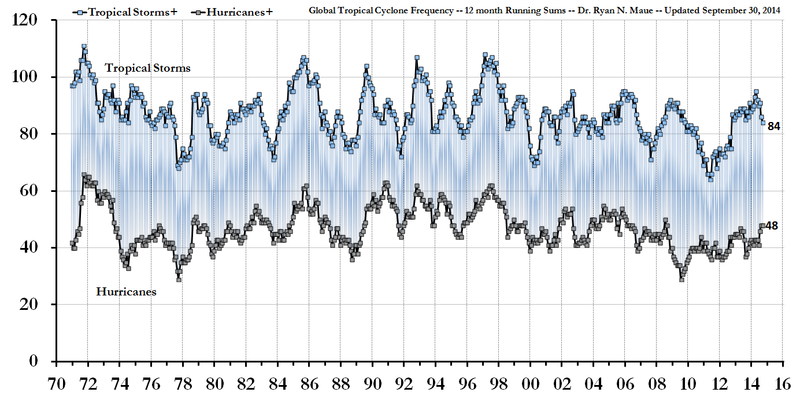 Above is the frequency of All Hurricanes [top line] and then Major Hurricanes [bottom line]. 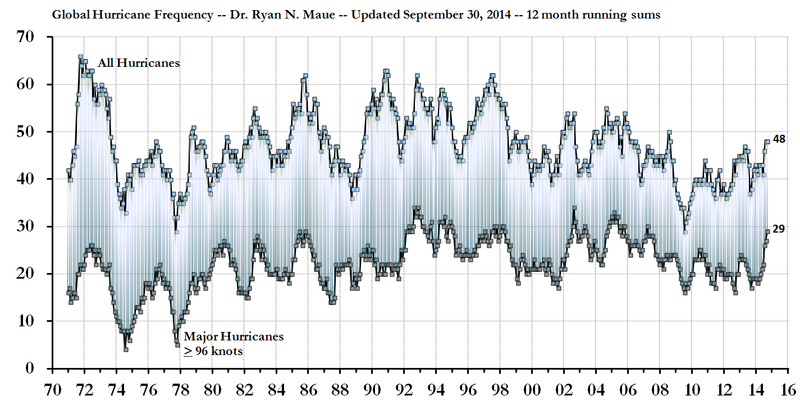 It’s clear that the frequency of all hurricanes has been on a downward slope since 1997 or so. And before that they were steady going back to 1986’ish. While it’s true that the frequency did rise from the period 1973 through 1987, those years represented a diminished number from the recent high seen in 1971 or 1972. And major hurricanes? They too have seen a reduction in number from 2002 to present day. We’re near recent lows. As recently as 2010 through 2013 we’ve been lower than any time since 1975. True, there are high peaks as recent as 2006, but the most recent decadal trend is down. Here any sense of trend vanishes – or rather, the trend is one of remarkable consistency. 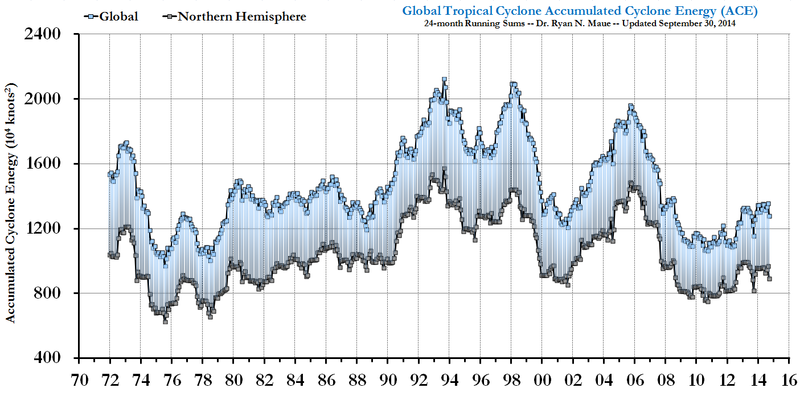 In conclusion – there is absolutely no evidence to sustain the concept that tropical storms are increasing in numbers or power. 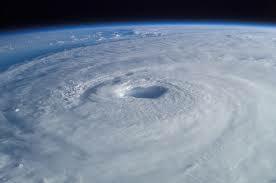 This entry was posted in Climate Change, Environment and tagged ACE, Hurricane, Tropical Storms. Bookmark the permalink.